Kenneth Leon Jarrett age, 88 of Elwood passed away on September 5, 2018 at his home in Elwood after an extended illness. He was born on August 29, 1930 in Elwood the son of Leo and Veda (Etchison) Jarrett. 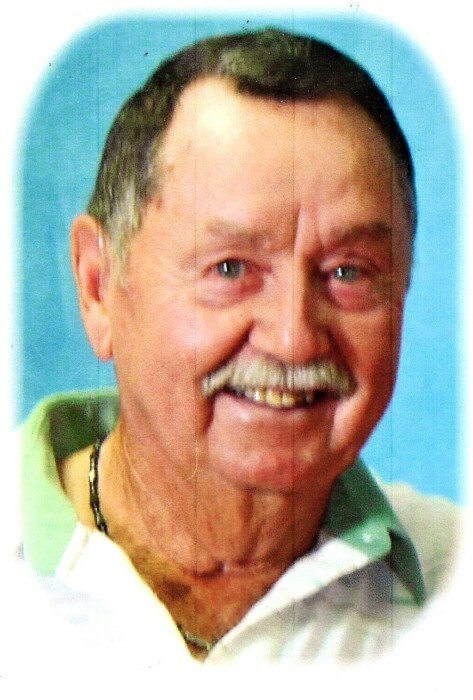 Kenny was a lifetime farmer, he also enjoyed racing, basketball, golf, tennis, bowling, and loved playing various card games. He loved playing with his 3 children (Diana, Rick and Mick,) 8 grandchildren, 3 step grandchildren, 16 great grandchildren and 5 step great grandchildren. Kenny loved to travel and visited one of the four exchange students they hosted. He was a member at Harmony Christian Church where he was a Deacon, and later he attended the First Methodist Church. Kenny served on numerous Board of Directors such as YMCA, Star Bank, Farm Bureau, United States Auto Club, and was also a member of the Elks and Masonic Lodge. Kenny is survived by wife Mary of 67 years, daughter Diana S. Hook Jarrett (Candace Dietzer) of Kokomo, son Richard L. Jarrett (Valerie) of Elwood, son Michael L. Jarrett (Cheryl) of Huntington. Grand children Shannon Hook, Sossidy Caldwell, Rachel Hofer, Kent Jarrett, Lesley Flook, Mary Mauntel, Morgan Jarrett, Michelle McGuire, and 3 step grandchildren, Cassandra Crider, Michelle Prus, Meghan McElhaney and sister- in-law Phyllis Jarrett. Kenny was preceded by parents Leo & Veda Jarrett, Brother Lindell L. Jarrett and Sister Anita Ruth Barber. He loved going to Okeechobee, Florida each winter for 30 years. Made many friends from many states & Canada. Things of special interest - Kenny hit a Sky Shot (half court) at an Indiana Pacer game, had United States Auto Club Sprint cars for 12 years, had 3 United States Auto Club Dirt Car Championships, raced go carts, was a 4-H leader, he showed swine and dairy cattle in 4-H, received Outstanding Young Farmer award, was a Volunteer Firemen for Duck Creek Township, had the highest 4-H corn yield in 1949 and won the Elks State bowling Tournament. He also pitched softball for the First Methodist Church team until he was 80 years old. A funeral service celebrating Kenny's life will be conducted at 11:00 am, Tuesday, September 11, 2018 at Dunnichay Funeral Home in Elwood with Rev. Doug Bohall and Rich Leavell officiating. Entombment will follow in the Elwood City Cemetery. Visitation for family and friends will be held from 3 to 8 pm on Monday, September 10, 2018 at Dunnichay Funeral Home, 1113 S. Anderson St., Elwood. Memorial Contributions may be made to the Elwood YMCA through the funeral home.